Family & friends are invited to attend a visitation on Wednesday, October 31st from 9:00 a.m. to 11:00 a.m., in the Vertuccio & Smith, Home for Funerals, 773 Broadway (Rte. 107) REVERE for Frances D. (Ginnetti) Gennaco, who passed following a lengthy illness at the Chelsea Jewish Nursing Home on Monday, October 29th. 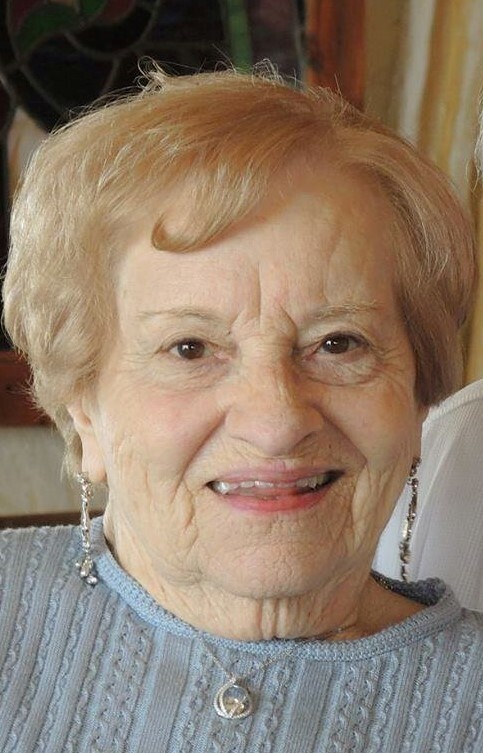 Her Funeral Service will be conducted in funeral home following the visitation at 11:15 a.m., with interment at Woodlawn Cemetery, Everett, following immediately. Born & raised in Revere, 95 years ago, she was a lifelong resident of the city and a 1941 alumna of Revere High School. “Fran”, as she was affectionately known, worked for several local area department stores i.e. Bradlee’s of Chelsea & the Revere Almy’s Department Store at Northgate. However, she retired as a senior clerk from the Commonwealth of Massachusetts at the Nashua St. Registry of Motor Vehicles. She had earned over 20 years of service with the Commonwealth. She was the wife of the late John J. Gennaco, who passed in 1991. She was an outstanding homemaker, especially in the skills of cooking & baking. She is the cherished mother of Vincent J. Gennaco & his wife, Carolyn R. of Marblehead and John F. “Jack” Gennaco & his wife, Christine M. of Revere. She is the devoted grandmother to David V. Gennaco of Salem, Jennifer L. Gennaco & her husband, Benjamin of North Yarmouth, Maine, Michael A. Gennaco of Marlborough, Brian S. Gennaco & his wife, Sarah of Dover, New Hampshire, Amy V. Gennaco & her husband, Kemuel Jurarbe-Hernandez of Kodiak, Alaska, Lianne M. Gennaco of Astoria, New York, &”Gregory J. Gennaco of Revere. She is the dear sister of Lillian “Chickie” Boudette of Revere & the late Anna Sasso, Anthony Ginnetti, Spartaco “Sparkie” Ginnetti, Dante “Dindy” Ginnetti & Virginia “Dolly” Papa. She is also survived by her 3 (three) great-grandchildren; Lincoln & Lora Smith & Isabella Gennaco, and by many nieces, nephews, grand-nieces & grand-nephews. Wednesday, October 31st from 9:00 a.m. to 11:00 a.m. In lieu of flowers, remembrances may be made to Boston Children’s Hospital Trust, 401 Park Drive, Suite 602, Boston, MA 02215-3354.